VPN services have continued to grow in popularity in recent years, in large part due to greater awareness of Internet privacy issues. VPNs provide users with increased control over their Internet browsing experiences and allow them visit their favorite websites without leaving a trail for hackers, law authorities or technology companies trying to gather information about them. With a ‘virtual private network’ you can feel safe using your devices without worrying about prying eyes viewing what you are up to. How do you find the right VPN for your needs? Choosing a VPN can be daunting- how do you really know which ones will deliver the best service? We understand that you don’t necessarily have the time to become an expert on the hundreds of VPNs on the market, so we’ve broken down a list of the top providers and ranked them based on which ones offered the best overall experience. We had our tech analysts conduct over 100 hours of research to provide our readers with a definitive list of our top recommended providers. Here we break down the most widely-used VPNs and rank them overall while still giving you a breakdown of their most noteworthy features. After all, your internet habits will differ from the next person. And ultimately, the correct choice of VPN depends on what you need and want from a provider. 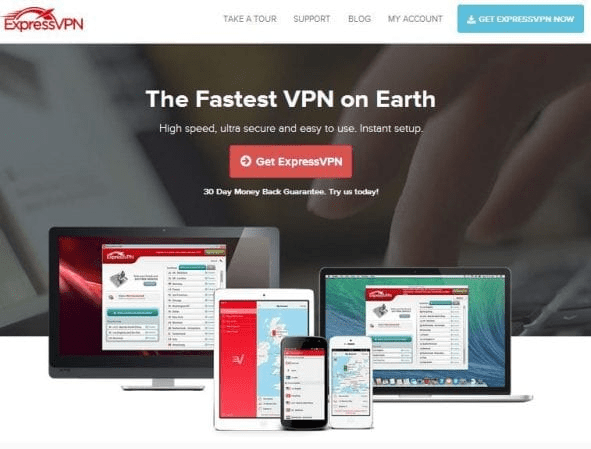 ExpressVPN provides a speedy, seamless, and ultra-secure VPN experience. For those wanting a premium service its included features are unmatched. Intuitive and easy-to-use interface across all operating systems: Windows, Mac OS, Linux, iOS and Android. Wide distribution of servers with 148 locations in 94 countries across the world. Allows for 3 simultaneous connections with unlimited bandwidth. Free from activity and connection logs. Users can pay with bitcoin; 30-day money back guarantee. ExpressVPN is one of the pricier VPNs, but the value they provide in return is truly unsurpassed. The biggest advantage with ExpressVPN is the speed. We found that it provides the fastest VPN speeds across the services. During our tests, there was no noticeable drop in ping speed and our testers reported an impressive 70% of normal internet speeds were detected. If you’re wondering about how it will perform on your own hardware, built into the system is a handy speed-test. It can tell you the ping and download speed of the servers. So, you can see for yourself just how fast it is. It’s compatible across all the main operating systems and provides peace of mind with 24/7 technical support. For those wanting to access international content on platforms such as Netflix, ExpressVPN remains one of the few that remain unblocked. This works whether you are looking to simply use your VPN server within the country that you or located, or if you’re looking to access a different selection of programs available only in other locations. We’ve found that Amazon Prime, Hulu, and BBC iPlayer, all work through this service. The service is torrent-friendly. Since this VPN operates out of the British Virgin Islands it is not as closely surveilled as companies operating from other regions of the world. Another great aspect of the ExpressVPN app is how easy it is to use on both Windows and Mac platforms. Connecting to a server is intuitive- it has you choose your location from a recommended list and from there it connects you within seconds. You can also view all available servers or recent choices so that you can return to the ones that have worked the best for you. The ‘smart location’ feature can simplify the process you but as we found you may discover this isn’t necessarily the fastest server in your area. Nonetheless, ExpressVPN gives you many options. Once you’re done using the VPN, disconnecting is just as easy, a large button on the app allows you to end your session with one click. It’s true that ExpressVPN makes it easy to use, but don’t be fooled into thinking that the features are basic. You can alter the advanced settings and play with protocol or split tunneling. No matter how you decide to use the app, you’ll find that the built-in ‘HTTPS Everywhere’ setting ensures your privacy as you use the internet. ExpressVPN is not cheap but the cost is justified by what you get from the service. Prices start at $12.95 per month for the basic subscription. If you commit to a subscription over the long-term you can get the cost down. Occasionally you can also find discounts. The best that we’ve found is $6.67 per month over 15 months. This is still on the higher end of the spectrum for VPNs. However, if you’re looking for a premium VPN experience that’s easy to use and virtually frustration-free, this is a great choice. With robust security features and an easy-to-use app, NordVPN is an excellent choice for users of all experience levels. The competitive price point makes it a top pick amongst our reviewers. One of the most secure VPNs we tested with unique features like Double VPN, Onion Over VPN and obfuscated servers. Network of more than 5,000 servers across 62 countries. Independent audits confirm their stated no-logs policy. Extra features that block ads and malware and prevent phishing. While it is not the fastest VPN on the market, the security features, easy-to-use app, and competitive price landed NordVPN high on our list of top VPNs. It works well on all operating systems including Mac, Windows and Linux. It worked equally well on devices running Android and iOS. Among some of the best aspects of NordVPN are the extensive number of servers available, use of Double VPN and Obfuscated servers, as well as a proven no-logging policy. Those wanting to stream Netflix will be happy to know that within their network there are servers that will allow you to watch- but it may take some trial and error before you find one of the servers that will work for this purpose. NordVPN is P2P-friendly and is good for torrenting. Its base in Panama means it is not a part of the Fourteen eyes jurisdiction. Hands-down, security is the greatest strength of NordVPN. The protocols that Nord uses means there is a 256-bit encryption. Their no-logging policy has been tested by an outside party. The Double VPN they offer means that your connection is encrypted through a first server, then routed again through a second server. For those that don’t want others to know that they are using a VPN in the first place, the Obfuscated servers provided by NordVPN provides privacy. In addition to these features, NordVPN has included a feature called CyberSec in their app that will block ads and prevent phishing and malware attacks. Another example of how much users can control their internet experience with Nord is the ‘App Killswitch’ they offer. Rather than having to exit the server completely, you have the option of turning off selective apps. This provides peace of mind that the data you most want to protect remains secure while you continue using the internet. To compliment all of features that you get from this premium VPN, Nord also has a live chat 24/7 support feature where you can get all your technical questions answered. We found that the response times were super quick, and the assistance was very thorough. The $11.95 per month membership price tag might raise a few eyebrows, but upon closer inspection we found that the annual contracts (between 1 and 3 years) were extremely affordable. If you’re willing to take on a 3-year subscription, you’ll see the price drop to $2.99 per month. The service can be paid with using bitcoin and comes with a 30-day money back guarantee. There’s a reason that Hotspot Shield boasts over 650 million users for their VPN services. They provide a fast, secure and easy-to-use experience and back it up with excellent customer service and support. Some of the fastest speeds available with unlimited bandwidth. Secured with its own proprietary technology that was engineered to optimize the performance of their servers. Can use up to five devices on the single account. Simple interfaces allow you to connect via mobile or desktop as quickly as possible. Live chat with their customer support anytime 24/7. With Hotspot Shield you’ll enjoy military-grade encryption, a user-friendly interface, and an extensive choice of servers. All this while offering some of the fastest VPN speeds and 24/7 customer support. The one account will allow you to use up to five devices simultaneously. We’ve found that Hotspot Shield performs well across all platforms and devices that we tested, including Windows and Mac systems as well as Android and iOS mobile devices. The mobile and desktop apps are simple to use and allow you to quickly connect to your desired server from around the globe. If the ability to watch Netflix via your VPN is important, the good news is that Hotspot Shield is currently able to stream the service. Regarding P2P file-sharing, torrenting is a strong feature of this VPN provider. The AES 256 bit-key encryption provides a very secure means of sharing data anonymously from one user to another. Hotspot Shield offers the ability to chat with live agents at any time of day 24/7 if you need help troubleshooting any aspect of their services. There is also an extensive library of resources in the form of tutorials, videos, and how-to guides if you get stuck. This database is a great place to learn how to get the most from your VPN services. The month-to-month pricing for Hotspot Shield is on the high end at $12.99 per month, but if you’re willing to sign-up for a three-year subscription the monthly payment goes as low as $3.49. For the features it offers this is a very competitive price. If you’re thinking about trying it out, they are currently running a free-trial promotion to new users that can be canceled at any time. But don’t be surprised if you like it enough to continue with an upgraded account. Swiss-based VyprVPN has gained popularity recently by implementing a strict no-logging policy and offering a simple customer-centric pricing structure. They boast ownership of all their own servers ensuring your security without compromising speed. Ownership of 100% of the servers they use means a more secure connection and fast speeds. Has over 700 servers located in 70+ countries. Pricing structure allows you to choose what features you need. Premium members have access to proprietary Chameleon protocol for enhanced security and cloud access. Live support via chat available 24/7. 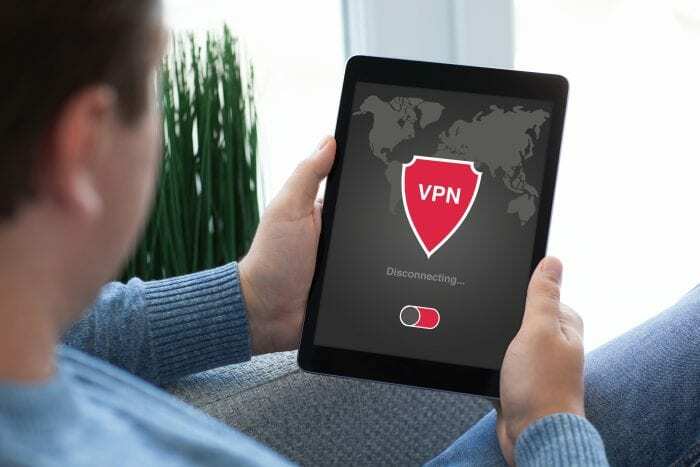 At the end of 2018 VyprVPN overhauled its privacy policies at the urging of customers now making it one of the most secure, private, and affordable VPNs. The company, based in Switzerland, provides fast speeds and guarantees a no-logging policy that has been audited by an outside party. The pricing structure is unique with two tiers of subscriptions- a basic package that gets you an excellent range of VPN features and a premium package that includes use of their proprietary Chameleon protocol as well as your own cloud server. The basic service covers a lot of what people would want from a VPN. With no bandwidth limits, our testers found that speeds were quick across an array of devices. There was no perceived throttling. In terms of being able to view streaming platforms life Netflix, VyprVPN is currently able to access it. Although there is no dedicated P2P support, the privacy measures ensure that your information won’t be shared if you engage in torrenting. Both the Windows and Mac desktop apps for VyperVPN are a breeze to use. Through it you’ll have access to the over 700 servers located across 70 countries- all owned by VyperVPN which ensures the quality and security of your experience. While using the VPN you have your choice of protocols to use, aside from its own Chameleon protocol the company offers PPTP, OpenVPN, and LT2P/1Psec so you have your pick. The live 24/7 chat support and an extensive library of troubleshooting guides means you’ll always have help configuring the VPN to suit what you need. The unique pricing structure of VyprVPN will appeal to those users who only want to pay for the services they need. A three-day trial is offered to all new customers and depending on what you need you can choose the basic ‘VyprVPN’ plan or ‘VyprVPN Premium.’ Month-to-month pricing is available ($9.95 per month for basic service and $12.95 per month for the premium) but as with all other VPNs the best deal is to be had with longer term contracts. With the basic account the annual contract works out to $60 per year while the premium service is $80. If this option is chosen, the price is billed annually. The main benefits of the premium account are use of their own Chameleon Protocol which helps bypass geo-blocking and allowing you access to more worldwide content and use of your own cloud server. With a name like HideMyAss VPN you’d expect they take your privacy seriously- and they do. This reliable VPN is UK-based which has implications for the data they may be required to collect but if you’re willing to put up with this issue you’ll get a speedy VPN with lots of great features, backed up with a 30-day money back guarantee. An extensive stable of over 900 servers across 200 countries. Easy-to-use applications for Windows/Mac/Android/iOS for easy connection. One account can be used for up to five devices. Supports P2P filesharing with dedicated servers. Uses military-grade encryption, was recently purchased by Avast who is well-known for their robust security. HideMyAss VPN, also referred to as HMA for short, has been one of the most popular choices around the world because of its huge network of servers that make for a quick and secure VPN browsing experience. Although its privacy practices have been under scrutiny (it is located in the UK and subject to a few more surveillance regulations than more out-of-the-way VPN service providers) it still has a stellar reputation as a reliable service. It was recently purchased by Avast which gives even more credibility to the security of the VPN. The reality is, unless you are planning on being in gross violation of laws (hopefully you’re not planning such a thing) you’ll be just fine on this VPN. The large network of servers across the globe has made HMA extremely attractive to users. The straightforward pricing structure, quality features and simple-to-use apps are also great selling points. HMA remained unblocked from Netflix, and with the massive number of servers it’s safe to say that you’ll be able to use the service for a long time to come. File-sharing on the service is supported with dedicated P2P servers. Using the VPN couldn’t be any easier with the well-conceived mobile and desktop apps they have available for download. The Mac and Windows we’ve tested work equally well as do the mobile Android and iOS platforms. One nice feature is that on each version of the app it lets you quickly and easily switch servers when you need to which of course improves your ability to ensure your information is safe and secure. HideMyAss VPN offers a range of support to users with their forums, self-help guides, and a 24/7 live chat feature. The choice of three price tiers affords HideMyAss VPN customers the chance to decide how long a term they want to commit to. All options include the same features, so you’ll get the same great speeds, access to extensive servers, and security no matter what price structure you’ve chosen. HideMyAss VPN offers new customers a 30-day money back guarantee on all accounts. As expected, the month-to-month plan is the most expensive at $11.99 per month. If you can commit to a year with them, they’ll discount the monthly rate to $6.99 and this is further discounted to $4.99 per month if you want to go a full 24 months. This U.S. based VPN consistently makes the lists of top providers because of its premium service offering at low prices. Having one of the largest networks of servers under its belt, Private Internet Access gives its customers the military-grade security they seek without sacrificing high speeds. A large network of over 3,000 servers across the globe. P2P file sharing and torrenting supported on all servers. Uses PPTP and OpenVPN protocols. Life chat support available 24/7. Customers able to anonymously pay using gift cards from popular retailers. Private Internet Access has all the bells and whistles of a premium VPN service provider at a strikingly low price. It offers quick speeds, military-grade security, and a large network of servers as its most salient selling points. Staying true to its name it is also one of the only VPNs that allows customers to pay for these services using gift cards from leading retailers such as Target or Starbucks which means that your payment information doesn’t need to be disclosed. Our testers noted that the app doesn’t have the greatest design but once you get the hang of using it you can connect quickly and securely. Performance-wise Private Internet Access is among the fastest VPN connections out there supporting up to 4Gbps. According to our speed tests the connections speeds dropped no more than 10% when using servers domestically. However, when connected to servers overseas the speeds were significantly slower (as expected) and sometimes decreased by as much as 50%. This may not matter to those who want the guaranteed ability to watch their favorite Netflix program while knowing their information is being kept private. Those who do a lot of P2P sharing will like that all of the servers within the network will allow for torrenting. Since you can choose from all of them it is unlikely you’ll get the an overloaded server. Also of note, is that Private Internet Access doesn’t employ virtual servers. In terms of usability, Private Internet Access is compatible with all major operating systems and mobile devices. As stated before, it’s not as intuitive as some of its premium counterparts but doesn’t take long to figure out. What you get is a secure and private VPN experience from a provider that guarantees no-logging, will not sell your information to third parties, and provides a high level of security for the price. In addition, you’ll have access to a wide-ranging library of help guides or can reach out to a support person via 24/7 live chat support. Private Internet Access has a low entry rate for even the month-to-month subscriptions which start at $6.95. For what you get this is a bargain. Further discounts can be had if you agree to a one-year plan ($3.33 per month) or a two-year plan ($2.91 per month.) For a premium VPN service, which Private Internet Access is, these are some of the lowest prices you will see. All this and they offer new customers a 7-day money back guarantee. PrivateVPN has built up a solid reputation amongst VPN service providers. This has been built on the strength of their security, their no-logging pledge, and a commitment to protect user anonymity online. Ability to unlock geo-restricted media. Your activities will remain undetected with Private VPNs military-grade encryption. 24/7 live chat support avaible. The Swedish-based PrivateVPN was founded in 2009 and has touted a commitment to security for users and uninterrupted service that never goes down. It has remained popular due to the privacy laws in Sweden that allow the company to maintain its pledge of no-logging. This means that the company has no requirement to keep any of your information that could later be demanded by governments for future use. In addition to this, users appreciate the unlimited bandwidth, and competitive speeds. The testing performed by our reviewers show that PrivateVPN does have high overall speeds that compare to the fastest VPNs out there. However, these speeds are predictably affected by the location of the servers being used. TV and movie-watching fans will be happy to hear that Netflix and other streaming currently works, although this could change at any time. If your thing is P2P file-sharing the security of this VPN helps keep your identity anonymous when torrenting. Using the application on your desktop is fairly easy since it is fully compatible with both Mac and Windows operating systems. Our testers noted that PrivateVPN worked effectively across all mobile devices as well including those running Android and iOS. Users have upwards of 80 servers across 59 countries to choose from. PrivateVPN ensures military-grade protection using an AES 256-bit encryption code with 2048-bit DH key. The company offers an excellent customer support program. They offer troubleshooting from the point of installation to answering questions about specific configurations you might need. Their FAQ answers nearly all questions that you might have but in case you have an issue that requires additional attention. For this you can reach them on there live chat service or through one of their support request forms. Either way you can ensure you will be thoroughly supported by Private VPN at every stage. The pricing of PrivateVPN is in line with comparable VPNs on the market that offer a similar level of security, and service. For those only wanting a month-to-month subscription they can expect to pay $4.88 per month, while those who are interested in a year-long plan (13 months with the extra month they throw in as a bonus) can expect to pay $3.82 per month. You have the benefit of a 30-day money back guarantee so that you can test out their services. Another added benefit for customers is they have the option to pay with Bitcoin should they want to protect their anonymity further. Surfshark’s big selling point is its position as high-speed and high-security VPN at a very low cost. A great option for those who do not want to invest a lot to make use of VPN services. Has a network of more than 500 servers across 50 countries. Very fast speeds with the benefit of multihop doubt VPN encryption. British Virgin Islands base means they are able to guarantee a no-logging policy. Their ‘CleanWeb’ software gives an added layer of protection by blocking malware and ads. Automated kill switch ends your internet connection in the case that your VPN service is interrupted. Extensive support offered including 24/7 live chat. Surfshark VPN is a provider based out of the British Virgin Islands and it is one of the most affordable on the market while having all the features you could want. Their platform is compatible with a wide range of devices is downloadable for Mac and Windows. Our testers noted that the mobile versions of Surfshark’s app were not as easy to use. One thing we did appreciate from the service was their CleanWeb software. This added protection from malware, ads, and trackers. Other security features including obfuscated servers. We are happy to report that server speeds performed well (with the fastest connections coming out of the U.K/U.S.) and the connections were reliable but sometimes spotty. The platform automatically connects you to the nearest server in order to preserve speed but if you want to connect to a more remote server you can do that too- just be prepared for a slight drop in speeds. During your trial period you may want to test out the servers you think you’ll be using most. Out team reported that Surfshark does not unblock geo-restricted content from outside of the United States. So, for the TV and move fanatics it will be important to note you’ll be limited to content solely streamed on the U.S. version of Netflix. If this was your anticipated use for a VPN then you’ll need to go elsewhere. With that being said, if you are primarily interested in torrenting and P2P sharing, you’re in luck. Support is available for file-sharing across nearly all the servers in the network. This is aided by an excellent security setup. Surfshark uses military-grade AES 256 bit-key encryption, allows you to choose from a variety of protocols (including 1Kev2 and Open VPN), and uses MultiHop to ensure your data moves through more than one server. Customer support rates with the best and includes 24/7 live chat support. With a two-year plan you can get the extensive list of Surfshark’s services for a mere $1.99 per month. If you compare the other VPNs feature-for-feature you will see that this is an excellent price. They do offer new customers a full 30-day money back guarantee should you decide that the VPN isn’t working for your needs. The 1-year plan comes in at a price point at $5.99 per month (adding up to $71.88 annually). Surprisingly, the month-to-month plan is quite expensive at $11.95 per month. Our reviewers note that even if you aren’t going to use the service for the full two-years you’re probably still better off paying for the longer plan because it would take only four months on the month-to-month plan to pay the same amount. Tunnelbear is a quality VPN provider that has excellent security, a delightful website and theme, and useful features at a very good price. The three pricing tiers they offer allow you to customize your experience. Simple interface that can be used easily across many devices. Can stream Netflix and other services. 1,000 servers well-distributed over 22 countries. Tunnelbear was founded in 2011 with the lofty goal of being a VPN service provider that improved the Internet as a better place for users to be. In March of 2018 they were acquired by McAfee which gives them some impressive backing. The company’s server locations number on the lower end at 22 countries but there are over 1,000 different ones spread out in those locations. The verdict is still out on how they will fare among the biggest players in the game but their privacy policies, security features, and connection speeds allow them to compete with the more well-known names. Tunnel bear is easy to use on most desktops and devices and can be setup in mere minutes. Speed is comparable to the best-performing VPNs which is a bonus. The VPN allows you to access Netflix, however it is not the optimal choice if your number one priority for your VPN is torrenting. You can do it through Tunnelbear, but they don’t go out of their way to help you and it’s not explicitly allowed in their stated policies. Customer support includes a troubleshooting and message system but no live chat so if you have an immediate problem, you’ll need to exercise some patience. The bear theme continues into the pricing structure. There are three tiers available for customers. The basic/free one is referred to as the “Little” plan offers 500MB of free data each month. It may be a good option for people who don’t need to a use a VPN very often. The next plan up is called “Giant”. This is the month-to-month plan that gives you unlimited data and costs $9.99 per month. With their third plan called “Grizzly” you’ll receive the same features but be given a discount for paying the full year fee up-front. This works out to $5.00 per month and cuts the price drastically. You can also use the free trial if you are still considering what you might need. Customers have the added benefit of being able to pay with Bitcoin for this service. Avast VPN is known for its reliable service, lightning-fast connections, and unmatched security. Although it isn’t currently able to access Netflix, there are so many other reasons that people are choosing Avast VPN over the competition. Upwards of 50 high-quality servers across 30 different countries. You’ll be using a single shared-IP address which means your data is masked. Military-grade 256 bit-key AES encryption keeps your information hidden. Great connection speeds that are ideal for streaming and gaming. Torrenting is fast and easy on their dedicated P2P servers. Avast has built a name for itself as one of the premier VPN services for private use and business. They have a range of pricing options available so users can choose based on their needs. What customers do get are secured connections using AES 256 bit-key security standards, great speeds, and excellent support. Avast is known for its fast speeds and our testers found that it lived up to its reputation. This might surprise some, especially because they have far fewer servers than other major VPNs but their approach has been to ensure the servers they do have are fully optimized. Of great importance to them as well is providing the highest security. Avast uses OpenSSL and OpenVPN security protocols, has a kill switch feature, guarantees a no-logging policy and utilizes the best encryption services around. So, while you’re streaming at top speeds you can also ensure your information is secure. Sadly, Netflix is not currently available through Avant but torrenting is allowed on this service and there are dedicated servers for just this purpose. In terms of usability, the desktop program works very well on both Windows and Mac operating systems. The same can be said for mobile devices. In fact, our testers found that the Avant interface performed great and was easy to use across all devices that were tested. Avant customer service is also a stand-out feature. They are one of the few services with a direct support number where you can speak to experts 24/7 in case you can’t find the answer to your issue on their extensive library of answers to frequently asked questions. Avant gives more choice to its customers than many other VPNs offer. You can choose from multi-device (up to 5) or single-device plans. The stand-out option is their Avast SecureLine VPN which can be used with up to 5 devices and is $79.99 for the year (which works out to $6.67 per month). The single-device plan will run you $60 per year ($5/month) but you can go for an even lower plan that allows you access to a single line and that will cost you $20 per year ($1.67 per month.) Avast does not offer month-to-month plans, so you’ll be committed for the whole year if you should sign up but they do give you a seven-day trial which should be enough time to figure out if you’re happy with the service. Once one of the more popular VPN services, IPVanish has slipped slightly due to a logging controversy in the past couple of years. But with new ownership and quality speed and security it still remains a decent option for customers. Has over 1,100 servers scattered across 60 different countries. Utilizes a built-in killswitch to prevent data leakage. Industry-leading 10 simultaneous connections allowed on a single account. P2P file-sharing and torrenting allowed. IPVanish is a good choice for those that are interested in quality speeds. Although not the fastest VPN that we encountered our testers noted that even with servers that were further away we were able to get decent downloading speeds that didn’t experience any lag. An enjoyable experience when downloading and surfing the internet in general. One downside of IPVanish is that it hasn’t been able to successfully avoid Netflix blocking. Only specific servers within New York, LA, Atlanta and a few others work with Netflix so you may not be able to reliably get the service. Torrenting, on the other hand, is a service they do support. If you’re interested in P2P sharing, you’ll find that their free SOCKS5 proxy does a very good job with downloading speeds but is slightly less secure. One thing to keep in mind is that IPVanish’s U.S. base means that it is subject to more stringent rules regarding copyright and DMCA notices. The usability across all the major operating systems we good. We tested with Windows, Mac, and Linux and found the process of connecting to be simple and straightforward. The ‘Quick Connect’ feature allows you to pick the country of your choice or you can simply let IPVanish choose the best one for you. There are over 1,100 servers located in 60 different countries. The monthly subscriptions with IPVanish start at $10.00 which seems to be middle-of-the-road pricing. There is a slight discount if you choose a three-month subscription which drops the price to $8.99 per month. The best deal is to be had if you commit to the full year and this works out to $6.49 per month. This isn’t the cheapest VPN, but the prices remain competitive. IPVanish does back the quality of their services with a 7-day money back guarantee. One of the newer VPN providers, Windscribe has done a good job of creating a seamless user experience and combining it with the highest grade of security to provide peace of mind that subscribers really are getting the privacy they want. Speed and customer service can be improved upon but Windscribe has many features that may still make it a strong choice for many users. Use of military-grade encryption and protocols. Consistent speeds across all servers. Free VPN plan available although it comes with limited features. Dedicated server for viewing streaming services called Windflix. Easy-to-use desktop and app that works well across all operating systems and devices. Windscribe offers a premium VPN service with pricing plans that can be adjusted to reflect the amount you’ll be using their service. Their impressive features include military-grade security (including OpenVPN, SOCKS5, and 1Kev2 security protocols), no-logging policy, wide range of servers on their network, and proprietary ad blocking program that adds an extra level of protection. Unfortunately, speed is not its strongest suit. Our testers noted download speeds were sometimes reduced by more than 50% and uploading speeds didn’t fare much better. If you’re wanting to be able to stream content on Netflix, you’ll be happy to know that they have a dedicated streaming server called Windflix that you can connect to in order to gain access. These servers originate from U.S. and U.K. locations and are optimized for streaming these services. In relation to torrenting, it is supported but they don’t have dedicated servers for P2P sharing. Our testers report that Winscribe’s desktop program for Windows and Mac was easy to use. The same with the mobile versions for Android, iOS and even Linux. The platform makes it easy to connect with a secure VPN in an instant. There is also an extra layer of protection if you want to download the specialized browser extensions available for Firefox and Chrome. Winscribe has nearly 500 servers located across 60 different countries. What was surprising to us is that we couldn’t connect to specific servers on mobile devices. We were only given the choice of region and were at the mercy of whichever server the app selected. Another area Windscribe falls behind its competitors is with customer support. They still use the old ticket system of following up with customer questions. They also have a chat bot that may be helpful if your question is not too specific. Windscribe is unique among the other VPNs that we reviewed in that it has a pretty good free plan on offer. With a confirmed email account, you can get up to 10 GB of data a month with unlimited server connections. If 10GB is not enough for you then you can upgrade to a paid plan. The month-to-month contracts are $9.00 per month without a contract. If you are willing to pay the annual fee, you’ll save considerably as the monthly rate goes down to $4.08 per month. With their build-your-own-plan option you simply pay $1 per location per month. So, if there are only a couple of locations that you connect to regularly you only pay for the use of those. You benefit from Windscribe’s great features at a much lower cost. CyberGhost comes to the table with a great interface, unique features, and excellent customer support. As a VPN service it has some room for improvement in the basic requirements of connection speed and most importantly security and privacy for users. Headquartered in Romania, outside of the ‘Fourteen Eyes’ countries. Over 3,300 services across 60 countries, with an excellent presence in South America. Easy-to-use apps with Windows, Mac, Linux and mobile devices on Android and iOS. Protocols supported include OpenVPN, 1Kev2, LT2p/IPsec, and PPTP. In order to give a real assessment of CyberGhost as a VPN we can talk about the impressive app, their ability to stream the major content services like Netflix, and the stellar customer service they have; but we also must address the glaring concerns regarding speed and security. Afterall, these two considerations seem to be the leading factors that customers look at when evaluating different VPNs. Without pulling any punches, our testers found that speeds on CyberGhost servers were not good. Even the best speeds were only just average and sometimes they were just plain terrible. The speediest connection we measured ran at about 50% of bandwidth. On top of that, a lot of servers we tested had problems with latency- even the ones that were closest to us. Although this VPN works with streaming services such as Netflix, you’ll find that there are only a few dedicated servers that accommodate this feature, so you won’t be able to watch some major international versions of the platform. Given that there is only one server per country, you’ll be likely dealing with much traffic which will have an even more adverse effect on already slow speeds. As a Romanian company, CyberGhost is P2P-friendly and doesn’t have as strict copyright laws as other nations. The simple interfaces for Windows, Mac, Linux, Android and iOS are a big plus for customers. The only real concern we had about the app was the difficulty in browsing and selecting specific servers. The ‘elephant in the room’ for CyberGhost relates to its security/privacy for users. It’s important to note that CyberGhost was purchased by Crossrider in 2017 (now known as Kape Technologies.) The problem comes when you look into Crossrider’s past and see that they have a history of distributing software that infects users’ computer with malware and spreads viruses. Although the company has said the past does not reflect the new direction of the company it is difficult to dismiss new reports that claim new adware by the company is ‘infecting Macs in a unique way.” So, this partnership leaves many questions to be answered and only time will tell. With this being said, CyberGhost does accept Bitcoin payments and they have a stellar customer support system that includes a large library of information and a 24/7 live-chat feature. CyberGhost’s month-to-month subscription is a costly $12.99 per month. This is on par with the more premium VPNs. If you’re happy to take on one of their yearly subscriptions, you can get that monthly price down considerably to $2.50 per month. To provide new users with some peace of mind they do offer a 24-hour free trial and back up their services with a 45-day money back guarantee. The German-based ZenMate states that it has over 46 million users, which would make it seem like a leading provider. However, our testing revealed that its features do not match those of other top-ranked VPNs out there- from speeds to user interface we felt there was much room for improvement. Has servers spread out across 30 different countries. Offers a 7-day trial and 30-day money back guarantee on subscriptions. Compatible with all major operating systems and mobile devices. Military-grade encryption and use of OpenVPN, 1KEv2, L2TP/IPsec, PPTP, and SSTP protocols. ZenMate is a VPN service provider based out of Germany. It has all the hallmarks of a top VPN, such as a range of security protocols, a killswitch feature, and sleek interface. However, we found that the actual usability of this VPN left much to be desired. The app on both desktop and mobile versions was unreliable and quite buggy. We weren’t allowed to choose our own servers, and for that matter, ZenMate is not transparent at all about just how many servers exist. Coupled with the fact that there is no Netflix support, torrenting is expressly prohibited in their policies, and their German jurisdiction is one of the strictest in the world for copyright and speech- we felt that this might be a deal breaker for a lot of users. Even aside from the key issues listed above let’s dive into the actual performance of ZenMate as a VPN. There’s no other way to say it, our tests indicate that ZenMate has very poor speeds. We were hardly registering 25% of normal bandwidth during our tests with ZenMate. Given that ZenMate does not have additional information about the traffic on the servers it’s hard to tell whether this was simply due to heavy usage or if this is the best that it gets. As we mentioned before, the app is very sleek and appealing, but the usability is not there. For example, when opting to connect to a server the only choice it gives you is country selection. If you are not able to connect to that server it will ask to connect to a different country since you cannot choose a different server in the original country. Being able to choose specific servers in a country is a basic feature in most premium VPNs so in this regard, ZenMate falls short. But again, this comes down to the lack of transparency the company has. They indicate there are servers in 30 different countries but fail to say the total number of servers overall. To top it off, they are still behind in the customer support department and still using the ticket system to answer questions. ZenMate stands out with its competitive pricing when compared to other VPNs that we reviewed. The month-to-month subscription is high at $11.99 but if you decide to subscribe to the service for two years you can get that down to $2.05 per month. ZenMate does offer its customers guarantees in the form of a 7-day trial as well as a 30-day money back guarantee when you make a purchase. If you haven’t heard of the term before VPN stands for ‘virtual private network.’ A purpose of a VPN is to securely transmit your data through an ‘encrypted tunnel’ that masks your identity and makes it more difficult for people to steal sensitive information that might be exposed when you are browsing online. For example, using public Wi-Fi can expose you to others who are also using the same network- a VPN will help keep you anonymous to anyone who might be peeking in. In addition to security, another benefit of using a VPN is that some of them will allow you to get around content blockers so you can view websites and content that are normally restricted to certain locations. In a country like China that is notorious for restricting certain social media websites, people will use a VPN to access this restricted content. It’s also useful for viewing streaming services such as Netflix since their catalogue of content can vary from country to country. With a VPN you can potentially view anything available around the world and remove those boundaries. For those that do their shopping on the web, a VPN can also save you money. Certain websites will charge you more depending on your location. If you’re able to keep your identity hidden, you’ll be able to take advantage of some savings. What are the Most Important Features to Consider When Purchasing a VPN Plan? How the VPN performs during your normal internet use will likely be the deciding factor so it’s worth trying a few until you find the right one. But our list can point you to what your best options might be. What Are the Specific Benefits to Using the More Costly, But Reputable VPN Providers? You’d be surprised to find out how many of the reputable VPNs offer free plans, but usually those have download restrictions, so they’d only work for you if you hardly ever need the VPN save for special occasions. The price of the VPN does not necessarily indicate quality as there are some that cost as much as the best on the market but do not provide nearly as good of a service. The key is finding one with features that align with what you want to do with your VPN. If you’re interested in one that can get around geo-blocking so you can watch Netflix in the U.K. or elsewhere you should look for that specific feature as well as reviews on their streaming speeds. What we’ve found is that while the best VPN service providers aren’t necessarily the most expensive, you can be certain they are not usually the cheapest. If you are looking to save money in this regard, remember that you can always opt for a longer contract which will push down your monthly rate in most cases by a significant amount.